A Glengormley primary school was praised by the Education Minister this week for its rapid improvement after an earlier inspection report deemed it inadequate to meet the needs of pupils. 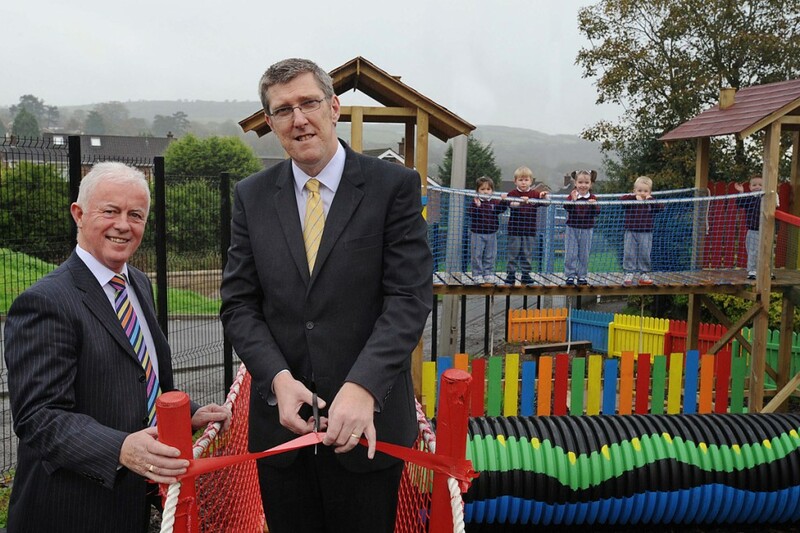 John O’Dowd was at St Bernard’s Primary School on Tuesday (October 25) when he congratulated the school for its progress over the last 15 months. The February 2010 inspection found the Antrim Road school inadequate to meet the needs of its pupils and was placed in the Formal Intervention Process. A follow up inspection in May 2011 highlighted vast areas of change and improvement over a short period of time. “This achievement reflects the hard work and dedication of everyone involved with St Bernard’s – its leadership team, the staff and parents, and also the staff from the Council for Catholic Maintained Schools and the North Eastern Education and Library Board involved in supporting the school,” said John O’Dowd. Principal Paul Flanagan was delighted with the report. “When I came to St Bernard’s in July 2010 I realised that there were many aspects of the school that needed improvement and development,” he said. He said that with action plans in place St Bernard’s embarked on a rigorous programme of improvement and development.